Some of us in the neighborhood will meet and go to a jazz concert at UIC, the finale of a full day jazz band event, Monday February 25th. 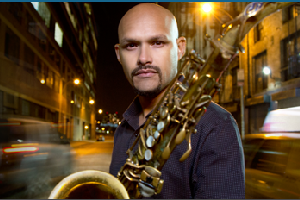 At 7 pm there will be an EVENING JAZZ CONCERT with special guest Miguel Zenon, a multiple Grammy nominee saxophonist, Guggenheim and MacArthur Fellow, and the UIC Jazz Ensemble. Watch for more info about special rates for the C4C community, and about exact location on campus. UIC is our neighbor too and welcomes us on campus to share this event.